Life is full of ups and downs, twists and turns, love and loss. And life would not be worth experiencing if it weren’t just that. You can’t have the good without the bad, you need to somehow learn to accept the bad and adjust it in a way that you can endure and overcome. Some days we will find what we are looking for or. maybe not .maybe we’ll find something much greater than that. A week had been passed Amaira and twinkle come back from hospital. After Amaira everything is changed so much she is lifeline of Kunj.Yuvi and Kunj used to fight for Amaira who will play with her while yuvi and Mahi apart from their rooms and twinkle is so happy now to see Kunj care and love towards her kids it’s really amazing for her.Kunj used to handle both babies to changed Amaira nappy bring ammar from school everything like a perfect after Usha and others see this they get angry.Ammar and romir is in top they too fight for Amaira romir want Amaira sleep with him while ammar didn’t let him take his sister which make everyone laughs out. Amaira still weak as well twinkle too. Amaira bring happiness in their life Aditi come at Sarna Mansion and spend time with kids.Still romir don’t know being Aditi his mother. Twinkle and Kunj sleeping peacefully with their both kids everywhere just baby Amaira things is mess up. Just than Amaira started crying for milk she sleeping beside her mother while twinkle sleep in deep slumber due to her voice Kunj wake up and see his doll crying. He shake twinkle..
Kunj:twinkle yaar wake up na see Amaira. She open her eyes. Twinkle: uhmm Kunj what you want haa. Kunj: what?? I don’t want anything look at your baby she crying for milk she wants you. She open her eyes and see Amaira crying fully. Twinkle:hoo my baby sorry sorry. She try to get up due to her operation still she is had pain her lower parts. She get up and sits while Kunj too and sits there only. She take Amaira in her lap and see her tears. Aww my baby crying this much. Kunj: haa just because of you only you make my baby cry lot. She wiped her tears and kissed on her face all over. Amaira stop crying and looking at twinkle baby Amaira started sucking the bottom lip..
Twinkle: sorry mamma is here only my baby is hungry. Twinkle started feeding her milk she drinking so rapidly she can feels really she is very much hungry and curse herself not wake up for her. Kunj look at ammar. Kunj: I have to talk to ammar doctor.?? Twinkle look at him. Twinkle: didn’t you talk to doctor haa. Kunj: I talk already one more time just for checking. Twinkle:Kunj this process will be very painful think about my babies see Amaira she is so small and weak as well how she bear this much pain even ammar too. Kunj:don’t worry twinkle you know na we had Amaira just for our ammar.He kissed on his forehead. Amaira leave twinkle and looking here and there. Twinkle:see this girl now tummy full haa.Twinkle place Amaira on bed Kunj see her. .Amaira flying her little hands and which hitting on ammar hand. Ammar about to keep his hand on Amaira Kunj see and hold ammar hand on time. Make my doll keema.Due to this ammar wake up and see Amaira sleeping beside him. Twinkle: ammar wake up we have to go hospital today. Ammar:mamma she again disturbed my sleep huhu.Just than ammar feels wet Amaira pee on bed and started laughing. From where this water come? Kunj: water?. Than ammar look down. Ammar: you didn’t scold her last time you scold me when I did. Twinkle:because baby she is small she don’t know anything that’s why.My two monsters. Kunj: I’m toh going to take bath Chal ammar. Kunj:what mamma now you are my son so let mamma handle her daughter okay.Kunj lift ammar and both went in washroom.Kunj give him bath make him stand in side while he too take bath and both father and son playing with water while twinkle admiring her daughter. After bath Kunj and ammar come back Kunj take out their clothes. Just than twinkle eyes went on Kunj waist and see cut mark..
Twinkle:Kunj what is this yeh mark. Kunj look at her and touch his mark. Kunj:woh just a small cut old hai. Twinkle understands and feels so bad she didn’t said anything. Kunj make ammar wear his clothes and get ready him fully he too get ready. Twinkle:Kunj I’m going and take her. Kunj:hmm. Twinkle take Amaira and went in washroom quickly they both take bath while Amaira started crying and twinkle call Kunj and give him Amaira Kunj warped her in towel.Bas bas my baby lets go to dadi and Bebe. Kunj take ammar and Amaira downstairs everyone was sitting Kunj went towards them. Yuvi and romir come and see Amaira. Kunj: not now she crying let me handle her.Kunj sit beside Bebe and dadi. Amaira shivering fully. Bas bas twinkle come na.Twinkle come out of the washroom she quickly get ready and within no time she clean her room. Twinkle:Kunj went down she take Amaira clothes and other things and went downstairs.She went towards all. Bebe:bas bas see your mamma is come. Twinkle sit beside Kunj and take Amaira in her lap. Twinkle:hoo.Itna kaun rota hai bath ke time.Now let’s get ready..
Yuvi:twinkle wear her which I brought for her. Twinkle:haa.I know today is your turn. Twinkle take out her baby cream and lotion. And apply on her body ammar and romir laughing at her. Ammar:mamma she had itu sa tummy hehe.Twinkle dressed up ammar she looking so adorable. Kunj:bhai beti meri hai. Kunj lift her in his arms slightly throw in air. Bebe:Arey Kunj she is so small. Kunj:I’m here na Bebe.Manohar and dadi see Kunj and get so happy.Twinkle went in kitchen and see breakfast along with servants soon breakfast is get ready all come for breakfast and sits. Kunj place Amaira on her cradle she playing with her own self Kunj feeding ammar while yuvi to romir Mahi come take her seat yuvi turned his face.Dadi finished her breakfast and take Amaira with her in garden.She see Usha talking with someone at phone.She listen quietly didn’t said anything Usha went in her room still she is busy in her phone twinkle was going to her room she see Usha talking with someone in cry suspiciously she stop and listen her all conversation. Usha:I’ll named Kunj all properties on my name than I’ll destroyed him haha. Laughing like devil.Twinkle get shocked to listen this.Tears escaping from her eyes she went from there before she see her.Twinkle entered in her room and sit and thinking about Usha all words and feels so ashamed to see a mother stoop so low just for money that also with her own son. Twinkle:I can’t let her do it Kunj did so much hard work to reached here this is all his.What I’ll do haa.She call someone and talk to and end the call. Kunj come in room. He see twinkle lost in her thoughts he went near her give her backhugged.
. Twinkle chuckled with anger. Twinkle: just because of you only you just behind me twinkle have this and that huhu. Where is my babies. Kunj: you babies is with my dadi..
Twinkle:now dadi becoming fully fine na Kunj. Kunj:haa.. why you looking in stress. Twinkle: nothing let’s go to doctor than MAA and papa calls us. Kunj:yeah firstly go there only Than we will go to doctor process will be take enough time. Twinkle:this is all right Than let’s go. I’ll bring Amaira bag down only. Kunj: okay wait na he pulled her closer to him Kunj caress her face twinkle understated his intentions. Twinkle: acha ji very cheesy you’ll not get anything. Kunj:I know right now you are not fine just get fine fully than I’ll not leave you. Both joint their foreheads. Twinkle I wanna tell you something. Kunj: just wait let right time come. Twinkle:Same chale husband ji.. both hold each other’s hands and went downstairs. Usha come there. Usha: Kunj I have some work with you. Twinkle: we are going somewhere let’s go Kunj she take him from there while Usha just look at them with anger eyes twinkle turned her face and smirked and see Usha face. In heart I’ll not let you success in your plan mummy ji this time I love Kunj more than my own life she bears lot not now.They went in garden. Bebe: you people going somewhere..
Kunj: Haa Bebe woh Leela Maa call is for lunch so twinkle didn’t went there after Amaira so. Bebe: good and go and tell us about ammar. Twinkle: sure Bebe. Twinkle take Amaira in her arms yuvi and romir too come with them they all went Taneja Mansion. They all just waiting for them only. They went inside as soon as Fuzail see them and get so excited for baby. He rushed towards. Fuzail: MAA and Papa di and baby come. Fuzail take Amaira and twirl fully in happiness. Ammar: haa maamu after this pidhi girl come everyone forgot me he make puppy faces Leela and rt come there rt Lifts ammar. Rt: who told you this my ammar is toh our favourite our first baby. He cuddles rt. Leela:come they all went inside and settle down. Fuzail:she is so cute di like ammar. Ammar:I’m more cuter than her. Ammar: whatever she is my sister only huhu. Give me he try to take her. Kunj: Arey ammar baby she is small even you too you can’t hold her properly if she falls down than. Kunj: acha come here Kunj make him sit beside him he fold his legs sit cross legged. Kunj Carefully place Amaira in ammar lap. Happy. Ammar:haa very much. Ammar caressing her cheeks and he and romir talking to Amaira and smiling. Leela: it’s so good to see them happy. Fuzail:jiju lets go for shopping na. Twinkle:no he and yuvi shopped lot for Amaira now I don’t have place to keep her clothes in wardrobe huhu let her become big. Kunj: I’m really confused Maa how she handle ammar you know what she doing it with Amaira siyappa queen peacefully sleeping and my doll crying beside her only for milk she didn’t care about the world. All laughs out Aditi and Mehar and Abeer along with their kids they too come. All laugh out at twinkle. Leela: I know this Kunj puttar at ammar time she didn’t care about her him me and her papa only see when he is hungry or not and tell her too feed him than she did otherwise toh lost in her thoughts. Fuzail: that time was difficult and different na Maa. Now. Yuvi: he only changed nappy.. hehe. Aditi: so what learn from him. Twinkle:aww Kunj so bad she started hitting him with her hands Kunj laughing while rt and Leela see this and get so happy like anything. They never thought their old twinkle will come back. Leela:you just stay happy like this only my bacha. Twinkle:I’ll see you later..after sometimes later all laughing and enjoying.They all sit for lunch.Leela make their all favourite dishes there Chinki come. Arey you come good while Kunj and yuvi make faces. Chinki: yes I miss you that’s why she Said while looking at Kunj. She too sit.They all having their lunch just than Amaira started crying. Kunj: you sit I’ll come na. Kunj went and lift her she is in raw sleep Kunj place her on his chest patting on her head making her sleep all see this and smile. Mehar: Kunj knows how to handle babies haina twinkle. Twinkle: haa Mehar he only handle baby at nights I toh just wake for milk otherwise if she didn’t sleep he only roaming here and there and handle her whole night. Didn’t disturb me at all. Mehar:so cute while Chinki fumed in anger like anything. Chinki: he doing for his kids twinkle in past what he did with you everyone smile faded away. Twinkle: whatever is it Forget what happened in the past. Yuvi:twinkle let bygones be bygones. Twinkle:Kunj come have your lunch see Maa make your favourite Wazwan..
Kunj:Arey slow baby is sleeping na . Twinkle:haa come.she calls him Kunj went and sit beside twinkle she take the morsel and feeding Kunj with her hands. everything after whatever I told to her she still no I have to see and do something. Kunj:Chinki.. she intentionally rubbed her lips on Kunj shirt. Twinkle went towards them. Chinki: sorry her hairs falling on Kunj face he side his face. Chinki: haa. She try to get again falls down at Kunj twinkle see this. Twinkle:wait Chinki she give her hand she get up while Kunj get up and look at here and there. Chinki: so I just come to call you twinkle. Twinkle:hmm in cold voice leave it Chinki we are coming down only you go. Chinki:yeah twinkle. She see Kunj and went and stand behind the door. Kunj: Arey I didn’t do anything she see lips mark. She went near him. Twinkle:I’m telling you na this see this Kunj see. Twinkle:only I have right on you get it. Kunj: yes. She cupped his face and give peck on Kunj lips. Twinkle: I’ll get shirt for you she went towards wardrobe and take out one of his shirt which kept here twinkle give him and he wore it. Chinki: she see this. Only I have right on you kunj really my foot never twinkle I did so much even forgot our friendship just for Kunj he is just mine if he didn’t become mine I’ll not let yours as well.She went from there.Twinkle and Kunj take Amaira and went downstairs Kunj get doctor call. Kunj: we should leave now twinkle. Leela: we should come twinkle. Kunj:Maa we both young you people come afterwards na. Rt:right acha okay nothing will happened. Rt and Leela sit on their kness and look at ammar they cupped his face my son. Leela:fighter get fit and fine nani can’t stay without you.They both cuddles him and get emotional he just grown up in their hands. Yuvi:acha we should go now. Kunj:yeah.Let’s go.Come ammar Kunj lift him Kunj and twinkle along with yuvi and Mahi or their kids they left whine Fuzail take romir outside. They went outside and sit in car left for hospital while in all the way twinkle and Kunj just cuddling their both babies it’s very risky process bone marrow transplantation.Within no time they reached hospital and went insideDR Malhotra set all things. He call twinkle and Kunj they both went in cabin while Aditi and yuvi handling their babies. Kunj and twinkle take the seats. Dr Malhotra come he take his seat. Dr: good evening mr and Mrs Sarna. Kunj: good evening you too dr.
Dr:so finally the time has come Kunj and twinkle.They fully worried which written on their face.I can understand your nervousness. I never seen like you both become strong and bear each and everything. So take this papers dr forward consent papers Kunj take and see the papers. Twinkle: what is this?? Dr uncle. Dr: this consent papers twinkle and Kunj we can’t take any risk because it’s very risky process anything can happen can’t say. Both get confused. Dr: means twinkle if ammar didn’t wake up after bone marrow transplant..
Kunj: what but you said after baby bone Marrow he will be fully fine. Dr:yes I know I’m saying this only but risk toh hai hi na.Think positive trust me twinkle I’m the one who gives you him in your hands for the very first again I’m saying this only but being as a doctor I have to alert you both nothing else. And ammar and Amaira bone marrow matched.Let’s go they went outside nurse take ammar she changed his clothes make him lay down on bed and all set twinkle and Kunj come and see ammar tears escaping from their eyes they went near him. Twinkle: my baby Kunj be strong. Kunj: haa ammar don’t think anything. Ammar: papa after this I’ll be fine no bitter medicine and that pain. Kunj:haa my son absolutely fine after this. They cuddles him.Dr come and see them till Than Amaira too all set. Kunj:hmm he sign on consent papers and give to nurse.Kunj take twinkle outside doctors operate them. Twinkle and Kunj sit in tension while others too come. Dr started the bone Marrow transplant process ammar and Amaira under effect of anaesthesia. Cells are collected from both hipbones of Amaira though a needle the process is very painful but they were under anaesthesia for this procedures both asleep and free of any pain during this all procedure they both closely monitored for any complications. Twinkle:Maa I’m feeling very negative vibes I don’t know what will happened. Rt:nothing will happened thing positive. Everyone just praying for ammar.After long hours the procedure end up dr come out and Kunj and twinkle see him and rushed towards him. Dr:hopefully bone marrow transplant is successful just waiting for ammar.And twinkle we shifted Amaira in under ward you go and see her she is fine. 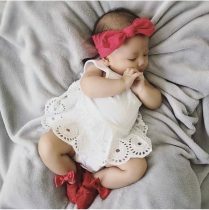 She will be cry but don’t worry okay.He said and went from while twinkle went to Amaira she laying on bed and sleeping peacefully twinkle sit beside her thinking about ammar. want anything just wanted I too spend my whole life happily with my husband and kids nothing else I want mores.while it’s become very late Kunj tell they should leave now if ammar get conscious they will informed them.They all left while ammar too shifted in icu twinkle and Kunj went there with Amaira he sleeping while Kunj and twinkle praying for them.Very hard for them. Twinkle handling ammar who crying like anything. Bass.! Kunj:you give me her I’ll come he take her went downstairs while twinkle kissing on ammar hands. Twinkle:I lost my baby now not ammar. She rest her head beside ammar hands while suddenly ammar started moving his hands twinkle see this she get shocked she immediately call doctors. dr come and twinkle stand in side dr check ammar and he is fully fine dr smiled. Dr: so finally twinkle happiness arrives in your life ammar is absolutely fine. Twinkle:what thanks uncle she hugged him. Dr:this wouldn’t happened with Kunj twinkle he really proves he is best after. Years back you lost one today see you get back both. More you are very understands he went from twinkle smile and call Kunj. Kunj: why everything is fine na . Twinkle: haa come back na. He end the call and rushed and entered in icu room and see twinkle and she smiling. Kunj: what happened. Twinkle gestures him toward ammar who is wake up and smiling Kunj see and get surprised.What my son.He give Amaira to twinkle and went to ammar and hugged him.My ammar he kissed on his face.Twinkle come and sit beside him. Twinkle: how’s my surprise is it?? Kunj:best twinkle almost you gave me heart attract. I should in formed to family. He called them and in formed about ammar is fine now. They all get happy while Aditi and yuvi visit to hospital with cake and food with romir and Fuzail.They come and sits Fuzail bring cake and lit the candle ammar blow the candle all clapped. Kunj feed cake to everyone and slightly lick to Amaira twinkle show him eyes. .They all laughing and clicking their photons.Amaira started crying all hold Their hands.Twinkle take out her clothes changed her diaper.Kunj and yuvi look at each other’s and talking with each other’s through eyesight. Aditi: twinkle give your baby to me she is so cute. Kunj: don’t dare to think of it I’ll not give my doll to anyone he cuddles her tightly.
. Yuvi and twinkle hifi. They all cherish this all moments which come after pain but leave happiness at Their faces. Tough times never last, but tough people do..at night all went back while twinkle and Kunj stay with their kids whole night kunj and twinkle was wake up seeing ammar.Whole night passed like this. Next day dr gives ammar discharged Kunj done all process of discharged they meet with doctor and thanks him personally he really become angel for them. After Kunj and twinkle went back Sarna Mansion. They directly went in their room. Being really tired they get freshen up and give ammar and Amaira Their medicines they too sleep after at evening twinkle and Kunj wake up and went downstairs while ammar and Amaira sleeping peacefully. Usha just waiting for Kunj when he’ll come back and she take his sign on properties papers.Twinkle went in kitchen make tea for them. She see Usha and her papers she immediately calls lawyer and bring deed papers he give twinkle went back. @::At living room everyone was presented there only. Before Usha do anything twinkle think. Twinkle: Kunj please sign on this papers. Twinkle: in cold voice while looking at Usha I said sign on this papers all get up and get confused to see twinkle behaviour like this. Kunj: are you okay na twinkle. Twinkle: haa I’m all okay just sign on this papers. Kunj: what kind of papers is this.?? Yuvi: for what?? She give papers to Kunj. Twinkle:this is properties papers of yours. Twinkle: so not Kunj sign on this papers. Bebe: but why so suddenly beta. Usha:haa What nonsense is this. Kunj don’t dare to sign on this papers get it. Twinkle: why he have to sign. Whatever you have Kunj it’s belongs to my kids only m I right. Twinkle: so you named everything on my both kids names..
Kunj: twinkle what nonsense this is tell I didn’t get so suddenly. Twinkle: no so suddenly I already told you so if you love us than sign. Kunj look at her and think in his mind. Kunj: hoo now I understand everything done you going back okay twinkle I’ll do this too for you. Tell me where I have to sign it. Twinkle: here Usha see and get shocked. Usha: Kunj you cant do this I’m your mother how can you named you all things to her kids names haa. Kunj: Maa they are my kids and whatever I have it just theirs only this she didn’t understand she wants proof na I’ll do it kunj take the pen and sign on papers and give to twinkle back.Tears escaping from Kunj eyes.Twinkle take the papers and went in her room she sit and crying. Twinkle:Kunj I’m sorry for this all if I didn’t so this than mummy will destroyed you. Just than Kunj entered in room he didn’t said anything he just see calendar on that twinkle marking on dates he see just some days left..
Kunj:some more day left twinkle after you will go away from me I know why you do this all but I’m okay I live my happy days with you. She look at him. She went near him. Twinkle: I hurt you na. Kunj: hmm hope I m used to now. I have some work twinkle so I’m going Chandigarh will come back till tomorrow night. Twinkle:is it necessary to go haa. Kunj:hmm you can go Sarna Mansion our deal is going to end very soon he said in sad voice twinkle can feels his pain.He went from there.Like this whole day passed they had their dinner and sleep while Kunj and twinkle just turning their side didn’t sleep whole night.Usha hell confused where Purushottam went. Kunj and yuvi making his each breath take very difficult for him. Kunj wake early he have to go Chandigarh and find something really important anyhow.he get ready and went in washroom while twinkle see him she went downstairs goes in kitchen make breakfast for him and packed in foiled paper. Kunj come down and see her she Come near him and give him bag. Kunj:hmm they went from there while Kunj left for Chandigarh soon it’s morning everyone wake up while Kunj call yuvi and Aditi tell them to go at Purushottam house they will get something. While twinkle try call Kunj whole day he didn’t pick up her call she getting bad feelings and crying like something really bad will happened suddenly Amaira falls down from her cradle twinkle rushed towards her take her in her arms she crying anything than twinkle see someone do something with Amaira cradle.Cradle strings broken she touched and understands purposely someone did this. Twinkle:let Kunj come back I’ll tell him everything about this all my baby she cuddles her. Kunj went in some old hospital he asked about years back old cctv footage he requested to doctors Kunj get footage he didn’t get time to see. Kunj went from there he call Aditi. Kunj: yes Aditi what you get to know. Aditi:Kunj bro your mom Usha aunty who send every monthly 10k to Purushottam. Kunj get shocked after listen this. Kunj: what are you sure. Aditi: yes I check their all bank details Kunj she sending him. Kunj don’t know how to reacts at that moment he cut the call and went in his car and drove off. Kunj call Anant and he asked him did Usha send him money he absolutely deny tell him she sometime bring money to him Kunj now fully in deep shocked. #At other side twinkle thinking something she went to Chinki house she calling her she wasn’t there than twinkle went in her room she calling Chinki just than twinkle see a door behind walls she get confused she entered inside. Twinkle:chinkiiii.. just than Fuzail call twinkle and tell her Leela calling before twinkle see anything she went while Fuzail was behind Chinki since long back. At night at Sarna Mansion everyone was presented there they all having dinner while twinkle worried about Kunj heavily rain this going on. Kunj was driving in anger he didn’t see on road just than one car coming from opposite direction Kunj see and get surprised he try to control on his car but all went in vain. His car hit with tree Kunj head with car steering. Twinkle: yuvi I didn’t get good vibes please call Kunj and asked him where he is see the weather. Chinki:it’s okay twinkle..Kunj handle himself he start his car and left for Sarna Mansion in full speed he was in deep anger tears escaping from his eyes soon he reached and went inside all see him and get confused. He went towards yuvi. Bebe: kunjj. What is this. Kunj: yuvi I give you that cd where is it. Yuvi: this blood are you okay. Kunj:I asked you something in stern voice bring that cd.today I have to solve this puzzle. Yuvi:hmm.he went inside and finding the cd. Twinkle:Kunj you sit na why this much anger are you okay na..
Kunj: hmm. Yuvi bring cd.. Maa I wanna asked you one thing answer me truly..
Kunj:whom you sending 10k every months haa she get shocked why so suddenly he asking her. Usha: why you asking she fills your ears haa. Kunj:Maa please tell me what I ask you. Leave today I wanted to know each and everything. I get something Bebe we’ll get to know where he went.. Kunj take the cd and play in tv. Soon the CD starts all get confused while Usha shivering what happened so suddenly with her..
Anamika was sleeping on the bed her both babies was in cradle playing with each other’s all see and get confused. Kunj:Haa Bebe. Manohar look at Usha and smiling inside his heart while his sone reached to truth. Yuvi: but how we will get to know where that baby went. Kunj:this is cctv footage of that night yuvi whoever stole that baby today come out Usha stand in shocked.Suddenly someone come in Anamika room she hide her face under veil she see a Anamika and went near babies.She take one of the baby in her hand and went outside. Yuvi:what.. that person is she..?? Usha: what is this they will get to know about everything today. Kunj leave this na. .This come out from Kunj mouth he turned and see Usha who looking down cctv footage ends. Kunj went towards Usha. Maa what is this you..
Yuvi: no kunj see she is only. Kunj: Maa tell me what is this.. she look at Kunj. It’s you who did this all. Usha: don’t trust on this all Kunj. Usha: haa Kunj is this truth I was the only Kunj kidnapped that baby from hospital Kunj take his step backs and about to falls down while Aditi and twinkle hold his hands blood oozing from Kunj nose. Kunj: Maa don’t say this this all isn’t truth. Usha:this is Kunj.. I only done this all’s Kunj. Kunj closed his eyes and remember that scream voice he wiped his tears and went near Usha and hold her from shoulders and started throwing things here and there. Twinkle: but what is this all baby. Kunj: I don’t want anything Maa just tell me where is my BHAI. Kaha hai mera bhai. Who you stole years back from a mother haa kaha hai mera bhai while crying please I’m begging in front of you. Bebe feeling so bad and cursing Usha. I asked you something Usha Sarna. She get shocked to see this. Kaha hai mera bhai what you had done with him..
Aditi:bhai.. same to same both give reactions. Kunj:haa mera bhai he is my twins brother. Meri MAA just crying for him and today she isn’t with us because of her only. Kunj look at her with anger eyes. Usha:he is here only nothing happened to him Kunj.I get success to separate a mother from his son but Kunj my fate wasn’t with me but I didn’t get success to separate a brother to another brother Kunj.They both were far away from each other’s in their eyes and world eyes didn’t get to know about their relation connection but still they were together. He is here only Kunj. Kunj:here.Usha turned and went in centre he is only she points her hand towards yuvi all look at yuvi. Usha: haa yuvi only Kunj he is your twin brother. All look at Usha Than yuvi blink their eyes. Anita:what is this Usha are you gone mad. Usha:I’m saying truth Kunj.. I’ll tell you. That night when Anamika delivery going on that time even Anita too. And Manohar and Yash was every happy their babies coming together at the same time Kunj. I take out baby from cradle and finding now where I’ll keep this baby than I went in Anita ward room there I see doctor and give her money and she tell me Anita give birth a baby girl who die while giving birth so I think why not I’ll keep this baby here only so keep yuvi there only and tell doctor don’t tell anyone about this. That’s it. Kunj didn’t said anything he about to slap Usha. But stop. Kunj: chiii how can you do this and why what we have done with you haa why you did this all things with us I’m calling you Maa give you respect and love more than my own mother you telling me you love me more than anyone. Usha:yes Kunj it’s true I love you very much but what can I do.I didn’t get love and respect how can I’ll let her get.Yuvi look at Usha Than her words echoed in his ears he went towards Kunj he hugged him. Kunj: yuvi who I finding like mad he is in front of my eyes mera bhai..
Yuvi: haa.. kunjj.. all smile. Kunj break the hug and look at Usha. Kunj:why you do this tell me. And whats going on between you and Purushottam deewan. My mother treat you like a sister. Still. Usha:no she is responsible for this all things Kunj.What I have done nothing I just love Manohar and wanted to marry him what he had done he marry Anamika instead of me I breaks down. Usha:yes Kunj. Kunj slaps her so tightly. Kunj: acha Usha Purushottam deewan. Yuvi and twinkle and others look at Kunj. Don’t be shocked I never try to find from where you come and others too. M I right you are daughter of Purushottam deewan. Kunj:yes yuvi this I didn’t get to know If Aditi didn’t told me about her translation she sending money to Purushottam. She is with her now I understood each and everything went she always stop me to leave this revenge Maa. This wouldn’t suits on your anymore you didn’t like to call mother it’s disrespectful for mothers kaun shi Maa aisa karti hai haa. Usha: kunjj.. ask your father this all happened because of him only. Kunj look at Manohar who sitting on wheelchairs and try to say anything. Usha:after get married with him what he did with me he just love Anamika I just remain his second wife that’s why. I thought after baby I’ll get all love and power and become queen of this sarna empire.And I started try to create Misunderstandings between Manohar and Anamika but they love each other’s my all plan didn’t effect on them. I try my level best she didn’t get pregnant and I started giving her wrong medicines but don’t know from where mummy ji get to know someone giving her medicine than she started staying with her always soon Anamika give news that she is pregnant my all dreams break downs all listen her. I again try to kills her babies in her womb only but like always she saved. I feel so bad when I see Manohar and Anamika together after pregnancy news their love increase more and more and he totally forgot me that I’m too exist in his life.I didn’t give heir of sarna family.When her delivery time come she give birth to twins baby boys that make me shocked. Ek bhi dodo now everything went on her sons name this I can’t let happened. And I know Anamika is a desperation patient.After babies birth mummy ji named everything on her grand sons name didn’t left single penny for me. After babies all went and I went inside and see babies that time I make plan and take one baby separate him with his mother. Anamika wake up and nurse come and give her Kunj she asking her about her another boy. Anamika: where is my another baby. Nurse: here is only one. Anamika: what.. asked Manohar she calls Manohar. You have our another baby. Manohar: no Anamika you know Yash and Anita blessed with a baby boy good. Anamika: haa but where is our baby. Manohar and others started searching baby but they didn’t find out this make Anamika fully lifeless they went back to home she started crying whole day just missing her baby who lost in some hours after come in this world. Because of this she making Kunj away from herself. Everything going on as per Usha plan she take advantage of this situation and always take Kunj with herself Manohar telling her many times because of one baby she making Kunj away from her. Slowly slowly she fully went in desperation and Usha giving her wrong medicines all keys of house come in her hands and she shifted Anamika in another room and settled down in Manohar room.Like this Kunj become 5 years old he always crying his real mom didn’t love him.But Manohar and dadi gives Kunj so much love and care like a prince they treat him.But he always craved for Anamika love. Usha get happy to see this all things.But Manohar love never decreased for her he just love her after Anamika as well he just give Usha right of Kunj mother not his wife. Back to back storm coming in their life’s. Kunj hold yuvi hand tightly he look at his mother whose photo hanging on wall Kunj went towards her photo. Kunj: Meri MAA. I always think she just love her baby not me. Usha:she love you Lot Kunj but I love you more than her that’s why I always apart you from Anamika. Kunj look at Usha. Kunj:you calling this love. Haa what kind of your love is this haa. You did this much worse with my Maa why..
Usha:I’m helpless Kunj I don’t have anything I just become blind in my revenge.He just love Anamika not me I just wanted his love and care see na after Anamika also he just lost in her memories didn’t give me love.for my own selfishness I did this all. Kunj falls down on his knees he recalled all those painful moments which he bear and see with his own eyes he trust at Usha so much what she give him in return back. Twinkle shocked to see Kunj who crying like anything he cuddles his knees. Twinkle: Kunj don’t cry please. Kunj: twinkle see her what she did with me she destroyed my whole life Meri MAA. I’ll tell my dadi about you kunj about to run upstairs he stop see padmakshi coming down Kunj didn’t wait for anything Kunj just hugged her like anything he crying in her arms.Dadiiiii..Meri MAA everything he falling down on his knees padmakshi hold his hand bring him down. Kunj: dadi she destroys everything make us fool. Padmakshi look at Usha. She wiped her tears. Dadi:I know this Kunj I know each and everything.This make everyone more shocked. Kunj: what do mean by this dadi than Kunj see her face expression. Even if the whole world turns out to be his enemy they cannot bend even a single strand of his hair. What did you think haa. I save that night. Dadi: haa I’m saying right. When we went farm house that night she was talking to someone and that I heard and she saw me her all truth come out in front of my eyes. Everyone went to farm house they all enjoying while Usha went inside padmakshi had doubts on her since the starts because she didn’t like her. She hide behind the wall. Usha: Arey haa papa ji don’t Worry we all happy after that Anamika I get everything in my hands now this old day sitting on my head she named everything on Kunj name I’ll see her she is last stone of my way. Like Anamika I’ll cute her pata too. Padmakshi listen this and get shocked. Padmakshi: means she did this all with Anamika I’ll tell Manohar mera kunjj. She about to go Usha see her and hold her hands. Usha: hoo hoo mummy ji this is bad to listen someone talks haa. Padmakshi: stop your drama I get to know I toh had doubts on you since the starts only how you blamed on my son and marry with him. Padmakshi: why you did this with us. Usha: Arey what I have done nothing. She slapped Usha she get angry and twist padmakshi hands. You old lady speak so much still you ruling on us like jhansi ki rani. I’ll see how you’ll tell everything I’ll send you where I send your ladli bahu Anamika hehe.She push her in side and see the kerosene oil and shower everywhere. Padmakshi: stop this.. she get matches box and lit the matches and throw it in side. Usha: bye mummy ji she went outside while fire started increasing all see and get shocked Manohar try to go inside while Usha hold his hands she smiling padmakshi crying for help.. whole house burned like anything but she see last hope of Ray she run from back door she get injured only she reached at highway finding cars for help but she met with a accident rest of you all know. End of fb. Dadi:what did you think haa I die no Usha I didn’t die that night someone come and save me because of you I went in coma there one day Kunj Daee jaa see me I can see her but can’t say her anything. She take care of me i lost my memory but when I saw Kunj he saw me his childhood photos I didn’t believe but slowly slowly my memory come back when he tell me about you I understand it’s not right time I didn’t tell her she bring me back when I see my son condition you don’t know I felt to see my son in this condition feels like that time only I kills you and tell everyone about you but I stop that time too.I’m not stable I remembered each and everything one day didn’t tell anyone. Haa Kunj she is only the one try to kills me I get to know her real face.Padmakshi hold her hands. You give my Kunj pain and tears nothing else separate my another grand son from us and kills my bahu more than daughter. We are so happy after entered in you in our life’s everything destroyed why.Kunj fully lost his sense back to back shocked. Manohar try to get from his wheelchair he falls down Kunj and yuvi rushed to him and hold his hands.Pa..pa come out from their mouths.Tears running down from Manohar eyes.They both cuddles Manohar.Everyone was just in deep shocked just in one night everything turned and so many truth come out which hides behind fake smiles.. Usha about to say anything. Twinkle: don’t you have shamed haa. What type of mother you are haa. Kunj get up while yuvi hold Manohar Hand tightly. Kunj:she isn’t mother twinkle she is just devil who just for her own lust she did this all Kunj about to slap her but take back his hands.I call you Maa I don’t have strength to slap you how I’ll do haa. 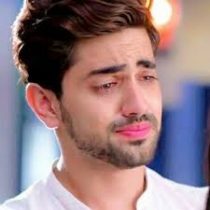 Ek baat bol deti hastey hastey I’ll give you everything MAa for me toh you are everything.Ek bacha jab iss duniya me aata hai na he take his mother name firstly but I toh called you Maa.Whatever you said I did that all things Kya kami ti mere pyaar me Maa.Tears coming from his eyes. For your happiness I leave twinkle haa twinkle I’m toh coming that night only asked her she stop me only. Usha:haa. I don’t want you love anyone more than me and after shadi you totally changed. I get scared after your baby what I’ll do so I about to do something before only that picture of her come and my work done itself only. Just than a voice come from back. Fuzail: Arey di don’t you want to know who did this all.Haa Fuzail come and stand beside Chinki. While she look at him. Fuzail:come with me I have something.He take everyone Chetan house all get confused what fuzu trying to do. Chinki:Fuzail what nonsense is this.He take everyone in her room. They went inside in secret room Fuzail on the lights and as soon as lights come all get shocked to see they stunned everywhere Kunj photos sticking on wall with heart and love name. Chinki:Kuch nahi twinkle.Twinkle see everything she add her photos with Kunj and write nonsense quotes.They all went outside. I went to Chachu house went in her room there I saw that room and went inside I saw jiju photos I get confused I didn’t tell about this all than when jiju tell me about her that she give her another letter which you didn’t give him. Chinki: Fuzail. Twinkle listen to me na. Twinkle:Chinki you are my bestie tell me Kya hai.That night I told you clearly give this letter to Kunj and tell him I’m pregnant what you did.While Chinki going in backwards and she see Amaira Chinki take her in her hands all get aghast.chinkii meri bachiii. Chinki: don’t dare to come to me I’ll kill her haa. Kunj: Chinki Leave my daughter. What you want tell me. Twinkle: haa Chinki why you doing this. She take knife from side table. Chinki: acha you asking me what I want. Mujhe tera pati dede twinkle. Chinki: haa twinkle mujhe Kunj chahiye. Twinkle: yeh mere pati hai. Chinki:whatever you toh hate him na I love you kunj I’ll give you each and everything what she didn’t give you.Just come to me. Yuvi: oyye stop give baby . Chinki:don’t take me lightly for Kunj I can do anything when I cheat on my bestie twinkle I can do anything. Kunj went in side he went behind Chinki hold her hands and take Amaira and give to yuvi and he hold her hand and slap her. She look at him kunjjj. Kunj:shut up. So I’m absolutely right you are the one who separate us haa. He cupped her jaw.may I know the reason Chinki. Kunj:haa twinkle she is the one who do this cheap things with you… twinkle went near her hold her shoulder. Twinkle: Chinki tu toh meri behan hai you can’t do this. Chinki:in loud voice haa mene hi kiya hai. Twinkle that photos and all’s. Chinki: kyu Kya twinkle haa. You get everything without demanding and I didn’t get. I just want one thing that is Kunj but US ko bhi tune cheen liya mere se. Twinkle: mene tere de when he is mine. Chinki:acha.Asked this Kunj.What he and his father did with my father.Because of his father today my father isn’t in this world. Kunj:no Chinki my father didn’t do anything he meet with a accident that night. Chinki:acha.Your and yuvi father take my papa all money and tell him his all money went in loss and you people kills him. Bebe:nahi Chinki raj die because of accident asked to your mother. Chinki:I’m not idiot.While Usha see clear way she escape from there. Twinkle:but what I have done with you. Chinki: she wiped her tears and sit in side. Aditi: bol na you calling herself her bestie na. Chinki:you know twinkle you didn’t do anything.We are in same college and my mom likes Kunj very much even I too. So one day went to his house to take my alliance he rejected clearly never think about my father who die because of his buster father. I’m okay but when I get to know you going to marry with Kunj and he get ready as well that make me angry. Kunj: are you gone mad. I didn’t rejected you infect I loved Alisha that time because of her I did this. And when twinkle alliance come for me I rejected that time too. But my papa force me to get marry her. When I get to know Alisha just love because of my money I feel so bad and I’m ready to marry twinkle. Chinki:that I don’t know. Whenever I see you both so close my heart aching like anything.When twinkle tell me about her feelings and Gautam propose me and I didn’t deny get ready to marry him. Everyone went in Chinki and Gautam engagement twinkle and Kunj looking at each other’s this seen by Chinki suddenly they disappears from the party due to Usha Chinki went behind them when she reached Sarna Mansion she went towards Kunj and twinkle room slightly window was opened Chinki stand there and see Kunj and twinkle making love. She get shocked she try to separate them what they doing it. Chinki:and I saw you both I click your and twinkle pictures and twinkle told me you didn’t like Vikram very much so I used him. Edit his and twinkle pictures.After some days later twinkle and you going to confessed your feelings this I get to know when I see twinkle going.So I used my trump card and throw it the way I wanted everything like this only.Twinkle throw out of your life but again this baby she get pregnant with your baby I try to convince her to abort her baby so your last connection will break down.Never happened than she going to London before she give me letter for you.She take out letter which twinkle give her actually. Letter she read.. today I’m going to read for you kunj.
. Wow she throw letter in air. And what I have done. I changed the letter only write whatever comes in my mind and fit in Kunj ears fake story and hates for you twinkle.Twinkle look at Chinki with red eyes. Twinkle slapped her back to back. Twinkle:shamed on you Chii you did this with your own bestie haa.Arey bol deti Teri liye sab kuch Choodh deti me kyu kiya pata ta na tujhe Me Kunj se Kitna pyaar karti hu.I should understand your intentions always throwing yourself on my husband haa. Kunj:she isn’t pregnant vregnant and all. She just did drama.Chinki itself tell her truth. Chinki you calling this love haa. Pyaar me sacrifice kiya jata hai pyaar woh hai jo me twinkle kar ta hu aur woh mere karti hai.You try to separate us see today we are together. PYAAR KARNA YA PYAAR HO JANA KOI BADI BAAT NAHI, BALKI USS PYAAR KO ZINDAGI BHAR NIBHANA BADI BAAT HAI..!! PYAAR KIYA NAHI JATA PYAAR TOH BAS HO JATA JAI PYAAR HASIL NAHI KIYA JATA HAI. PYAAR MEIN BAS SACRIFICE DI JATI HAI PYAAR I LOVE YOU KEHNE SE NAHI HOTA PYAAR UNKAHI BAATEIN DILSE EXPRESS KARNEY SE HOTA HAIN. You may be separate us see today you only lose not us we are together Chinki humhare pyaar sacha hai. Not like you what you calling isn’t love it’s just infatuation. you did this all things in your madness leave it if you love me you wouldn’t hurt see me and twinkle chot usko lagti hai but dard mujhe hota aankho me uske sapne but unko pura karne ki tamana mujhe hai. Hum do de but phir bhi hum pass hai you separate us but can’t separate our heart Chinki. Chinki: this all sounds good in stories Kunj she went towards him and hugging him forcefully try to kiss him while twinkle jerk her and slap her again. Twinkle:I just stop because of you are my friend today this also breaks down i never imagine you will do this. Shut up don’t dare to touch my husband. Twinkle:KUNJ SHIRF TWINKLE KA HAI AUR MARTE WAQT WOH USKA HI HAI. She hugged kunjj. Kunj too hugged her back. Chinki:I’ll not let you both become one. They all went from there.Kunj sit in corner and thinking about Usha what she had done with him.While twinkle as well Aditi handling ammar and romir Amaira.Even yuvi was too in shocked he is Manohar son and Kunj is his real brother that he don’t know. Anita come and hugged him. Anita: yuvi I m your mom I really love you. Yuvi: mom if you love me than you wouldn’t hide mahi truth from me. Anita stunned tears escaping from her eyes.Yes mom Mahi told me you know about her truth you didn’t tell me just for this all money you too did like this. Today I missing my papa lot. Anita: yuvi I get scared. Yuvi: what scared mom haa.she betraying me and you know about her having affairs with another men’s and you enjoyed that money which she giving you now I understand me toh aapka apna beta hi nahi ta na. Anita: nahi yuvi I really don’t know about this trust me. Ghayal kiya jab apno ne, to gairon se gila kya karna .Uthaaye hai khanjer jab apno ne, tho zindagi ki tamanna kya karna..
Dil tha ik kanch ka ghar ,so aakhir wo bhi toot gaya. Kismat main likhey hain jab gum ,to khuda se gila kya karna..
taraste rahi zindagi bhar jin sachey rishton ke liye .Jab unhon ne hi thukra diya, to gairon se tawaqo kya karna..
Jis ko samjha tha apna, jis ko banaya tha apna raazdaan.Usii ne jab dil thod diya, to gair ko apna kar kya karna..
JIN APNO PE YAQEEN KIYA UNHONE HI DOKHA DIYA/apno ne dhoka diya warna gair ko kya pata kaha dil ki diwar kamzor ha..
everyone had tears in theirs sometimes it’s happened whom we trust more than ourselves they only become the reason of to break our heart.Same happened with twinkle and Kunj and others.They saying they did this all in love but love isn’t like this.. Love is never supposed to hurt. Love is supposed to heal, to be your haven from misery, to make living f**king worthwhile. We accept that broken hearts are a part of love but the truth is that true love is never about suffering. We must comfort our hearts by understanding that true love will never hurt us, but rather cure us of all the pain of the past. As much as there is love in the world, there is also a lot of heartbreak. It is simply amazing that one of the best feelings in the world can also be a source of so much pain. Not live. Whole night their passed like this Aditi take twinkle in room due to Amaira who crying for her padmakshi see Kunj she went towards and call yuvi as well they both rest their head in her lap.
. I’m blind in her love . Padmakshi: no kunj Usha is wrong she didn’t love you and another’s too. Look at me.
. Mene toh Maa ko apni shagi Maa se bhi jada pyaar kiya phir bhi unhone yeh kiya humare saath dadi.she try to kills you. She cupped his face. Padmakshi: you are my strong Kunj na look at me Kunj you have everything jo gaya woh gaya see you what your brother we got him.Take yuvi hands you both stay like a brothers see na he is your brother. Don’t do anything think about your kids and twinkle Kunj we’ll start a fresh and new life. Yuvi: dadi but our revenge no. Kunj:haa dadi I’ll not leave that Purushottam and Usha they will get back their sins punishment dadi I’ll not leave them. It’s my promise still I remember in front of our eyes that buster raped of my mother and that Usha she is with him..
Kunj:haa dadi she cuddles them they both rest their head on her lap.She caressing their hairs. Zindagi Ka Safar Toh Ek Haseen Safar Hai Her Kisii Ko Kisii Na Kisii Ki Talash. Hai kissi me pass manzil hai toh raah nahi aur kissi ki pass raha hai toh manzil nahi. Don’t know when yuvi and Kunj falls sleep in dadi lap.She see them and kissed on their foreheads. Other side Usha try find Purushottam everywhere.Than she think something and went there only. She went inside everywhere darkness and darkness she on the lights and see someone who laying on floor and tied with cuffs. Usha: so you looking at moon haa she turned and look at Usha.Beautiful today my all truth come out you know what your great babies find out everything. Lady:laughs with tears.I told you when my time will come Usha you can’t do anything your times is very near. Usha:don’t worry I’ll kill them too.She went near her slap her.This all happened because of you.She give her injection and she crying in pain. She went from there..
Again morning come whatever happened last night shake them like anything. Kunj get up and went in his room he see twinkle and his kids he just sit and twinkle come and cuddles him place Amaira on his lap. Kunj:please twinkle I’m not in my zone. Twinkle:pata hai Kunj Leave this all things. 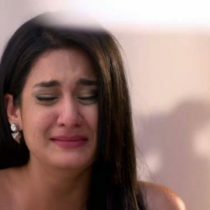 Look at me I can understand your pain Kunj. I get to know about your pain whatever happened in past with you I cursing myself I didn’t trust you. Twinkle:yuvi and Aditi told me everything about you at night only when everyone come to know about romir Aditi is his mother. I didn’t tell you kunj. Chinki did this all that night you was right but I didn’t trust at you I’m really sorry. Kunj:Leave this twinkle yaar you can go anywhere wherever you wanted if you stay with me you’ll get just pain and tears nothings take your both kids and went.Twinkle get shocked what he saying it.Kunj place Amaira on bed and went in washroom. After sometimes times Kunj standing recalling his mother pain and that scream.He throw things here and there.Today I’ll end this chapter Purushottam get ready he went in anger while yuvi behind him. Soon they reached factory they bring out Purushottam.went near cliff. Kunj: aaj tera din hai Purushottam deewan yaad karle ek bar woh raat here only you behaved like animals with my mother.Twinkle and Aditi worried about Kunj and yuvi.Dadi call Shekhar Than Aditi thing she take everyone and left. Puru:leave me please I’m sorry for my deeds. Yuvi:acha today replay replay Khel hai tu bhi Wahi and hum bhi.what’s say. They open all hand cuffs from Purushottam hands.Kunj and yuvi having guns in Their hands they shooting at down while Purushottam running and they behind.Time has changed but character was same to same. Kunj: bhaag Purushottam deewan. I’ll give you same maut which you give my Maa.Soon others reached there and see kunj and yuvi them and get shocked. Padmakshi: Kunj and yuvi Leave this. Twinkle:Kunj don’t take law in your hands. Aditi:yuvi please don’t do this. Kunj:nahi dadi he did everything in front of my eyes. Usha too reached there she went towards Purushottam and hugged him. See another one too come yuvi. Yuvi: haa finally daughter come to save papa.Wow great ek hi bullet me your chapter closed. Usha: Kunj I’m begging in front of you leave us. Kunj:really even my Maa to begging in front of you what you have done. Manohar sarna and yash Luthra working together.Purushottam and Usha did something like that.Usha mixed something in Manohar drink and come sleep beside her.She tells this to Anamika and tell her fake story she is orphans. Anamika truth on her as a girl she think about her so she itself decided Manohar marry with her and correct that mistakes which happened knowingly while Manohar love Anamika this much he get ready but he never see Usha with this eyes.After Babies Purushottam come with a deal to yash and Manohar even Chinki father too invest his all money.They all working day and night but Purushottam take their all money tell them everything is destroyed their all money wasted it wasn’t small lose very huge this breaks down them fully.While Manohar had support of his mother and more Anamika.Their condition become so worse their all things bank seals.While Yash can’t tolerate. Yash:what I’ll do now man.he went inside his room and locked himself he take gun in his hand and yuvi come there and see him. Yuvi:papa.Yash see him and put gun on his temple and didn’t think and shoot himself in front of yuvi who screamed papa.While Chinki father raj walking on road in lifeless condition Purushottam see him.He itself hit him with his car. after a week Usha and Purushottam talking with each other’s in garden Anamika see them and get confused she went in Usha room and see all those papers and money than she understands she is with Purushottam. She take her car key and take yuvi and Kunj with her and left Usha and Purushottam went in room and see room conditions they understood and run behind Anamika.Purushottam overtake Anamika car breaking the car she take yuvi and Kunj and running while Usha went and Purushottam run behind her.When he doing Anamika raped Usha was there only in corner. End. Yuvi:get ready.Today again history will play.The way you both rend our mother today we’ll do same with you when you’ll realised. Kunj:cupped Usha jaw didn’t you feel shame doing with a women only.Here only my Maa suffers and you too suffer now.Revenge lust sitting on Kunj and yuvi head. Kunj take his gun and point out on Purushottam. Kunj:tu jitna chilayega tuna hi mujhe Sakoon milega.Tune do bacho ke saamne unki Maa ke saath Kya Kya nahi kiya haa Teri Bhari hai.Dekh dyaan se hum do hi do bache hai.Kal waqt Tera ta aaj humhara hai.Dar lag raha hai haa. He hit on his face with his hands. Purushottam falls down.Other side factory blast fully they all can’t come they kept barres no one come there. upar wale ke ghar der hai andher nahi . They both suffering them lot. Twinkle: nahiii.. they both feels so good to make them suffers recalled how Anamika sufferer here only.Shekhar come with all cops. Kunj:acha what They will do. Nothing Purushottam deewan. Bol na. Purushottam: haa mene kiya ta sab. Kunj:Teri wajah se mera papa carpenter hui world ki eyes me without doing anything. Fire the gun on his shoulder. Yuvi: and my papa who shoot himself because of you he too shoot him on his knees. Other side Manohar closed his eyes he get up and stand on his knees he went downstairs. Manohar:Anamika.. kunjjj..he asked servants where is everyone they said they don’t know than Manohar itself leave from somewhere. Police: Kunj and yuvi leave him we’ll punishment them. Kunj:you people can’t do anything how many times I went to you all but you people said what proof but I don’t need of any proof.Now we’ll punished them in our way.Maar yuvi.. both stand in front of Purushottam.And gun in their hands. Tell your last wish my so called Maa. Kunj:mene bhi bola ta Leave my Maa did you listen to me nope so why I’ll.See your father last time.Kunj hold his shirt and take him near cliff ends about to throw him but pulled him and throw him At down. Usha: Kunj she is alive.. yes Anamika is alive.Leave us if not than I’ll kill Her. Yuvi:did you think we are mad..
.. Manohar reached there and all see him their eyes pop out. Manohar: kunjjjj.He heard and turned and see Manohar who standing on his knees while Usha and Purushottam take gun and try to shoot Kunj yuvi jerk their hands. Manohar: you both leave and come please. Manohar: haa Me kunjj come beta. Usha:Kunj Leave us Anamika is alive if not believe in me than look at there. Everyone raise their eyes and see at the top of another factory which is in side.Two men’s holding Anamika from her hands. Usha: yes. Yuvi shoot again at Purushottam hands he winched in pain. While Usha gestured them they throw Anamika down while Kunj and yuvi runs towards her she coming down.They both reached on time and take Anamika in their hands.They both sit down and she is their hands they both didn’t believe on their eyes to see their mother is alive whom they thought she was died. Her condition is so worse her messy hairs and bruises everywhere. Manohar come take Anamika in side she half conscious. Manohar: Anamika open your eyes. Anamika:wohh.Kunj and yuvi see her condition which make them more sad and cursing at Usha and Purushottam.They leave everything. Yuvi while looking at Anamika she looking at them just blinking her eyes.While all screaming yuvi and Kunj puts their guns down. They both shoot Purushottam and didn’t blinked their eyes. There’s a natural law of karma that vindictive people, who go out of their way to hurt others, will end up broke and alone.Karma has no menu. You get served what you deserve.People who create their own drama deserve their own karma.Karma is like a rubber-band: it can only stretch so far before it comes back and smacks you in the face.all get shocked to see this.Purushottam falls down and closed his eyes fully drenched in blood everyone mouth got opened Usha take his head on her lap and crying for him. Shekhar: you both not understanding us. Twinkle:Kunj please stop.. Kunj throw gun in side and he look at Usha. Kunj: yuvi tu ja please went from here now police will not leave us. Kunj: let me see her. Kunj hold Usha hands he bring all her things and which she gives to Kunj. He throw at down and take the matches and fire. Aap Meri MAA nahi ban paii but ek beta ka farz hota hai na uski MAA ANTIM SANSKAR KARNA ILL DO MAA DONT WORRY ABOUT THIS.. Usha look at Kunj. LETS DIE MAA TOGETHER ONLY NA.what’s say..
BOLO NA YOU KILLS ME SEE MERI MAA KA HAAL YOU DID THIS WITH HER WHY.me Kya KARU AAP SE ITNA PYAAR JO KARTA HU NA MERA DIL KUCH KARNE KO DE HI NAHI RAHA HAI MAA.All listen and feels so bad. While police breaks the Barres.And surround them in circle. Police: leave your gun yuvi and Kunj. Twinkle and Aditi went slightly near them. Twinkle:Kunj Leave na come to me we’ll start new life with our babies think about us. Kunj:you go twinkle with babies now police will not leave us. Yuvi:haa Aditi our reason is complete. They both going in backwards near end of the cliffhanger. Kunj: twinkle I didn’t tell you one thing today I’m saying you I really love yes I LOVE YOU TWINKLE KUNJ SARNA I DONT KNOW ANYTHING IM GOOD OR NOT BUT I REALLY LOVE YOU AND OUR BABIES. FORGET ME LIKE A BAD DREAM AND STAY HAPPY IN YOUR LIFE. Twinkle:are you saying Kunj haa are you mad. Nothing will happened you come to me. Aditi:no kunj and yuvi you both didn’t do anything wrong we’ll see everything see your mom is alive na. Twinkle and Aditi rushed towards them and hugged them . Twinkle: no let’s go please. Kunj: no they will kill you people with us. Twinkle: we will see na. KESA PYAAR THA USKA KE WO MUJH SE JUDA BHI HO RAHA THA, AUR YE BHI KEH RAHA THA AAPNA KHAYAL RAKHNA! Twinkle: Kunj I can’t live without you even I love you too Lot. Let’s go na. Kunj: TUM MILO TOH DARD HI NAHI TUM NA MILO TOH DARD HI SAHI. TUM MILO TOH ZINDAGI BHAR KI KAHANI TUM NA MILO TOH HUMARI ADHURI KAHANI. I love you too humara saath itna hi ta twinkle. They going more in backwards. Kunj remember something he taking out something from his pocket. Police: puts your guns down. They throw the guns down. Kunj see ring falls down he bend to pick up the ring while cops think he bend to pick up gun they didn’t think started firing like anything all shocked and Shekhar stoping them. Shekhar: no stop. Kunj take the ring blood coming from his body. you busters you kills him kunjjjj.. show her ring which he bring her. Aditi and twinkle screaming yuvi legs slipped Kunj hold his hand. Yuvi: Kunj…le… ave my hand..
Kunj:JAB PAIDA SAATH ME HUI TOH MAREGE KESHE AKELE HAA YUVI. Kunj hold yuvi hand both falls down from cliffs twinkle and Aditi rushed towards them. And see yuvi and Kunj holding their hands happily falling down from the cliff. Aditi:you can’t do this with me..
____________________________________________PICTURE ABHI BAKI HAI MERE DOST. finally I’m done with climax episode. I toh enjoy Lot.yes Kunj and yuvi is real brothers whom Kunj finding he is yuvi only. No proofs leave everything. Do share your views.